Fed up of dealing with a cracked roulade? Look no further, this recipe is a foolproof way of producing a textbook tight roll with no cracks in sight! 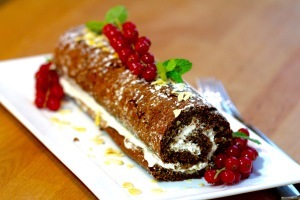 It’s fantastic alternative to the divine chocolate roulade. Packed with gorgeous stem ginger and served with a rum caramel sauce it’s perfect for a Sunday afternoon with a strong brew. 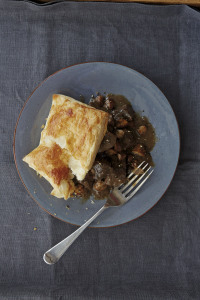 Sometimes you have to ditch the January diet and make something comforting to ward away the cold. 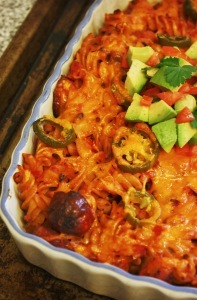 The spicy, warming Mexican flavours in this pasta bake will do just that. This is truly some good mood food.